Can you believe I'm posting AGAIN? It seems like when it rains it pours. I've had a lot to share this week. ;) Today's project is based on the Moxie Fab World Tuesday Trigger. I was really inspired by it since it used my favorite color combo - aqua and red. There's so much to be inspired by here. Obviously, the colors are the first thing I picked up on. 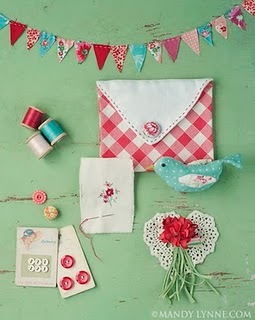 The photo feels very 'homespun' to me, so I used a lot of stitching on my card, as well. 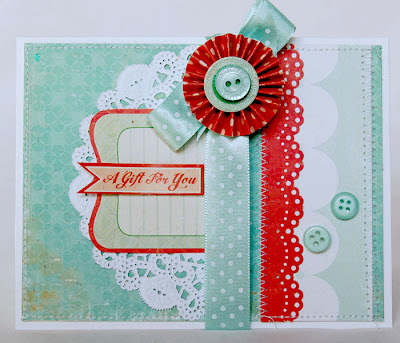 I also used the doily and buttons as inspiration and added them to my card. I used a mixture of Crate's Peppermint and School Day lines on this. The flower was from the Peppermint chipboard collection. I pulled it off a Christmas ornament. The buttons and ribbon are PTI. gorgeous card Ananbelle!..I really love this combo too! GORGEOUS! LOVE, LOVE, LOVE the colors! ooo Anabelle! 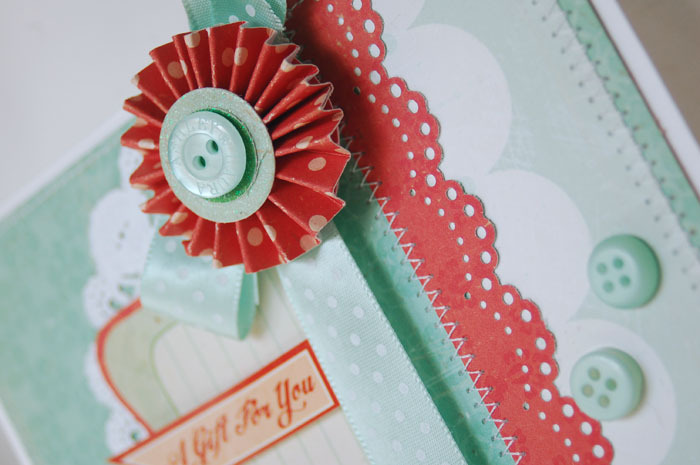 I love that inspiration piece and your card is equally beautiful! Lovely card, Annabelle! that was my grandmother's name, so pretty. You took some really nice things from the inspiration piece. 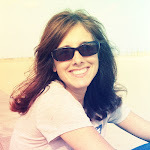 Have a fun day! Your card is just so wonderful! I love these colours too and you used them to perfection! This is so sweet, Anabelle! This is very pretty! Good interpretation of the sketch. Love this! The color combo is gorgeous and you've captured the spirit of the inspiration photo perfectly!